Small but mighty, that’s always the idea of something called Atom. 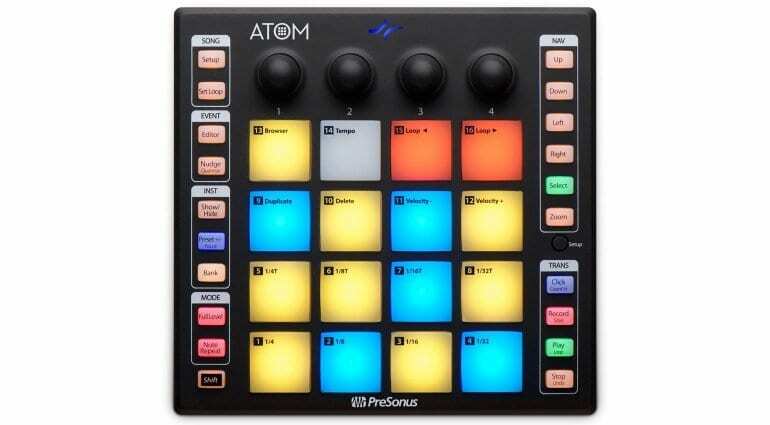 The ATOM production and performance pad controller from PreSonus appears to fit the bill. It’s certainly a very colourful little thing. So what does it do? 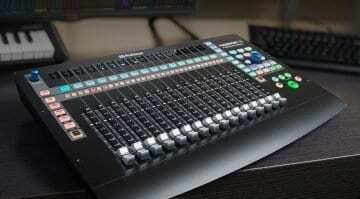 Well, it produces beats, triggers loops, plays instruments with “unsurpassed expressiveness and flexibility”. 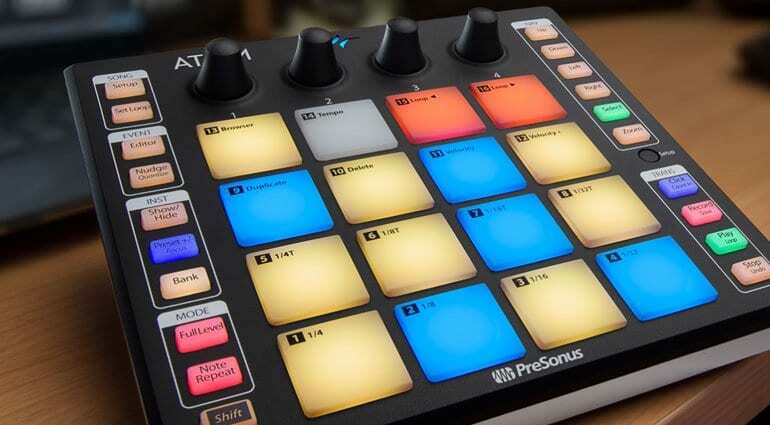 Of course, this being PreSonus, it’s always the best thing that’s ever been created and nothing before even comes close to it – that’s the PreSonus jam. 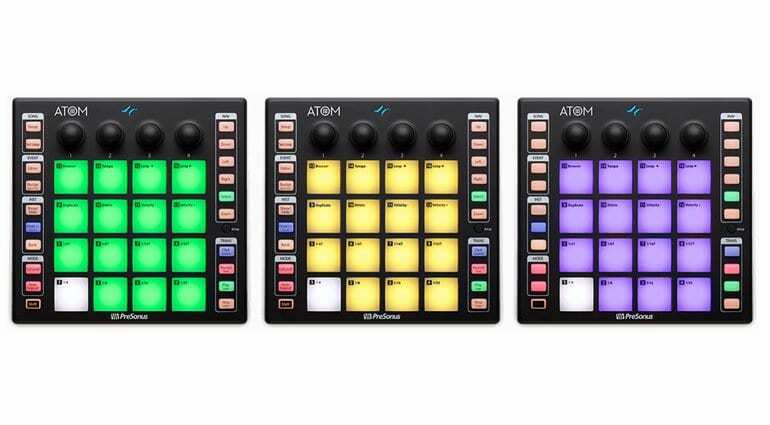 ATOM is a compact pad controller with 4 handy knobs and some useful buttons. 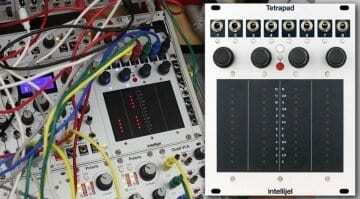 It connects via USB and will work in any MIDI environment. There are 16 full-sized (what is the standard size for a finger pad?) velocity and pressure sensitive RGB lit pads. There are 8 pad banks for saving your various mappings and profiles. You can also play it like a keyboard in Keyboard Mode, repeat notes in Note Repeat Mode and do everything at maximum velocity in Full Velocity Mode. 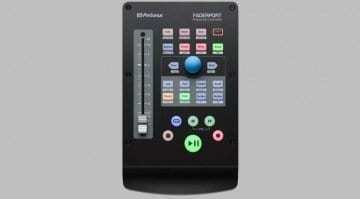 The 20 buttons can be assigned to things or they do what they say on the label if you are using Studio One. While the ATOM will work in any DAW or with any MIDI device it’s in Studio One where things get fully integrated. You can access the Browser and load instruments, change presets, create loop points and navigate the timeline, take control of the tempo, edit and quantize MIDI notes. You can even zoom in/out and control the transport. So it’s a perfect companion to Studio One and even comes with Studio One Artist in the box which is awesome. They’ve also thrown in a bunch of custom-designed loops from MVP. Looks great, good size, does the job. 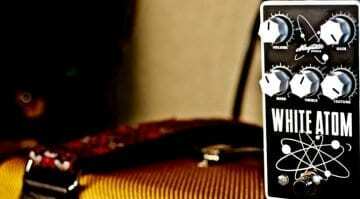 Not seen any UK pricing yet but Sweetwater has them for $149.